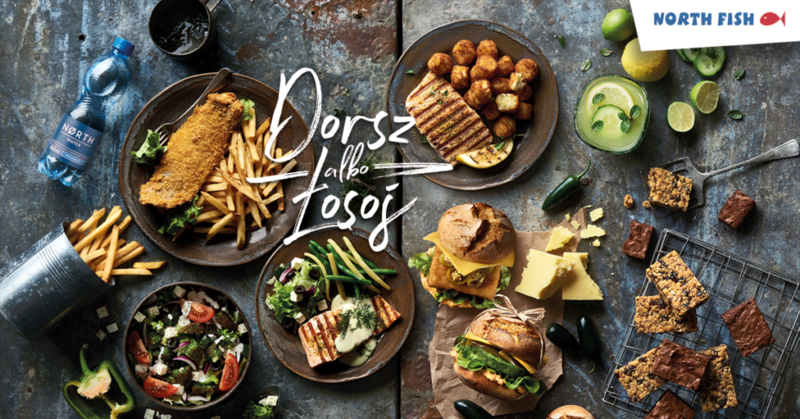 Oferta "Dorsz albo Łosoś" w restauracjach North Fish! | North Food Polska S.A.
From 5th March, North Fish restaurants have several new propositions for your taste buds as part of the Cod or Salmon offer. As well as the new products, attractive promotions and coupons also await our customers. Two versions of grilled Norwegian salmon have been added to the menu — one with lemon pepper, which harmonises perfectly with the fish, the other with our own lemon and fresh dill sauce, which gives the dish a unique aroma and exceptional character. The sandwich range has been extended to include Fishburgers and Vegeburgers, in a Hot & Cheese version with jalapeño peppers and cheddar cheese. The Vege Salad has been prepared for lovers of vegetarian meals, with a delicate spinach burger, fresh vegetables and spelt bread. North Fish restaurants have also enriched their menu with new natural lemonade with fresh cucumber and tasty sweet treats — chocolate brownies and fruity oat biscuits. A special promotion has been prepared for our customers — a large portion of black cod in breadcrumbs with chips and Nørth water for 17.99 zł. The Cod or Salmon offer is available at all North Fish restaurants until 5th May, 2018. North Fish is a chain of restaurants specialising in fish and seafood. The first was opened in 2002 in the Galeria Echo shopping centre in Kielce. Currently North Fish operates 41 restaurants located in Poland’s best shopping centres, which makes it the country’s unquestioned leader and Europe’s third largest, chain of restaurants offering fish and seafood. Each day nearly 1,000 employees take care to ensure the highest quality of the products served.